Satlash.net was thrilled to host the rescheduled post 16 evening, having postponed once due to a snow day! Fortunately all of the original stall exhibiters were able to attend: employers, colleges, and universities. In total forty providers came together to showcase a range of employment and educational opportunities for our young people. 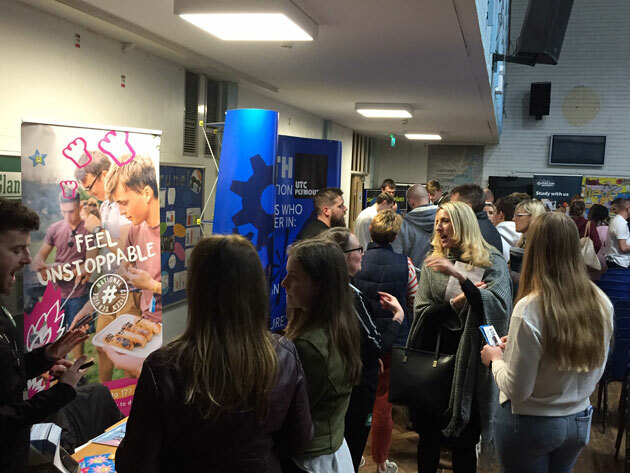 Students from Years 9 to 13 were invited to the event, providing important career information that will help them determine their post 16 and 18 choices. 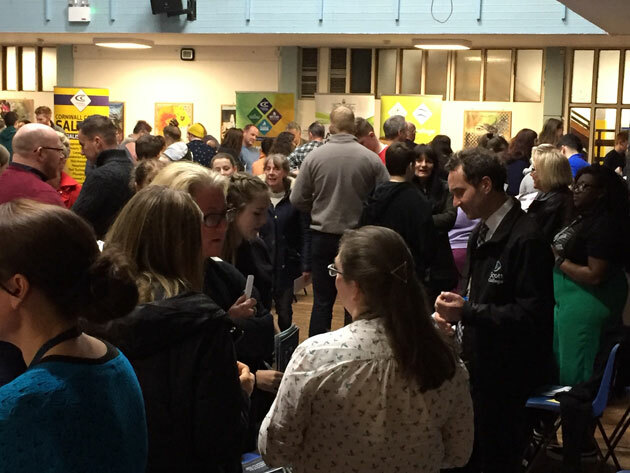 Positive feedback from local employers was well received and providers were very impressed with the students and the numbers in attendance; a true reflection of students taking responsibility for their futures. Saltash.net continues to be very proud of the strong links that they have with local employers and providers, ensuring that students choose the right pathway to success. Saltash.net warmly welcomed former students who interacted with current students, sharing their journeys and discussing where their school subjects had taken them. The school would like to thank, Mrs Boulton for organising the evening and all of the providers who gave up their evening to attend.